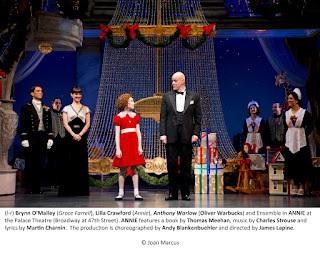 If the latest revival of “Annie” had nothing going for it but the belated Broadway debut of one of Australia’s leading musical leading men – Anthony Warlow – that would be reason enough to add the show to your must-see list. But there’s more. Director James Lapine has given the familiar property a thorough rethink. Though, mind you, nothing has been radically changed from the standard staging, he’s offered a nicely fresh perspective. The comically evil Miss Hannigan has been cast against type with the younger Katie Finneran who -- though almost falling into the trap, as Carol Burnett did in John Huston’s disappointing film, of playing Hannigan's penchant for the bottle a tad too realistically –- ultimately allows humor to prevail in her interpretation. Her line readings are very funny, though I did find her high-lying vocals a little shrill. Annie herself is a refreshingly un-cutsey Lilla Crawford with an engaging straight-forward manner, and a strong, suitably penetrating voice. 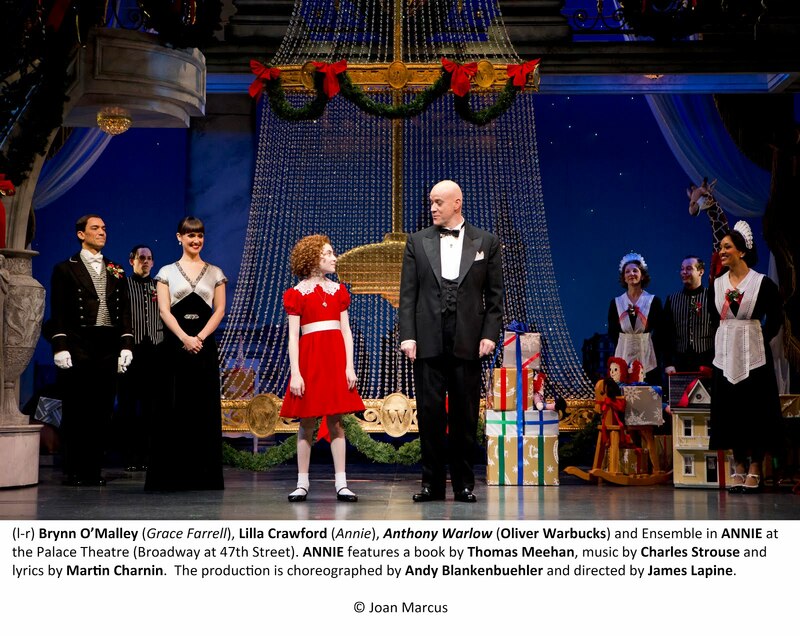 Her pint-sized Bernadette Peters locks give way to the iconic Annie-style by the end. Amidst all the youthful female belting (exacerbated by Brian Ronan's over-amplified sound design), Warlow’s warm tones are a welcome respite. and his Act Two “Something Was Missing” emerges as the show’s highlight. But besides his singing, he delivers a three-dimensional characterization with touching warmth as his brusque tycoonish ways quickly soften under Annie’s influence. New Yawk accents abound, underscoring Lapine’s slightly more gritty approach. Warlow, who has played Warbucks twice Down Under, has completely obliterated his native Aussie inflections, and speaks like a bona fide New Yorker. Andy Blankenbuehler’s choreography seems intentionally muted to go with Lapine’s more naturalistic telling, but there are many clever touches. 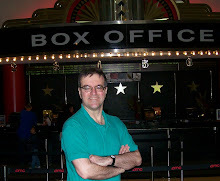 Michael Starobin’s new orchestrations add to the fresh -- but respectful of the original -- ambience. Though not quite in the top drawer of classic shows, “Annie” affirms its lasting popularity, and one admires anew Thomas Meehan’s funny book, and Charles Strouse and Martin Charnin’s jaunty score with its deft mixture of sentiment and Broadway brass.